I have such an awesome weekend planned and I can’t wait to share it with you. 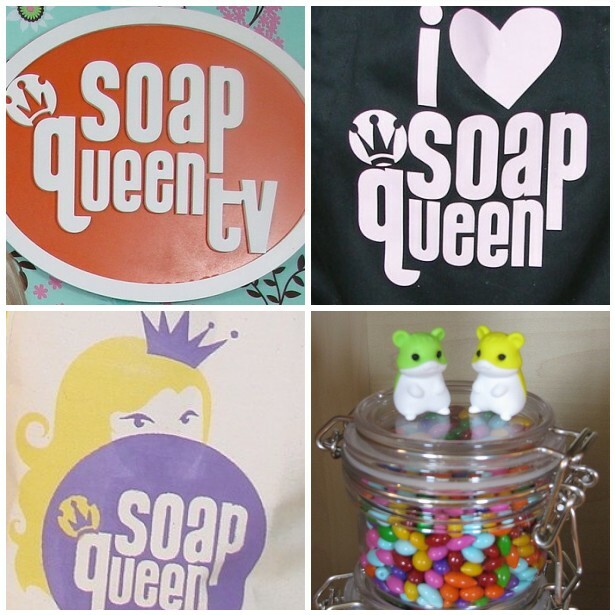 This morning, I put the finishing touches on the scripts for tomorrow’s filming of SoapQueen.TV. We have a secret surprise guest in town to help me film the shows. The two premium content SoapQueen.TVepisodes will cover cold process swirling secrets and I can hardly wait to share them with you. Before that happens though, I am speaking at the MoneyWise Conference on how self-employment and controlling your own destiny is totally the way to go. I will definitely post my top take aways from the portion of the conference I am able to attend. I also have a super fun soapmaker interview for this week as well as my take aways from a Learning At Lunch I attended this week with the Alaska Airlines CEO. It’s going to be a jam packed weekend (and week) and I wanted to post to let you know that I am working on some great content to share with you. Until then, happy soaping! Anita, The soap is cold process soap using a slab swirling technique. Christy Rose from KBShimmer.com came and shared her swirling technique with us to make the soap pictured. Wow! I’m super excited to see, can not wait! I’m glad to have found you, which is a woman of excellence! This soap the photo was you who did? Has revenue? Thanks! I am so excited for all that is to come. Especially the swirling lessons!!!! 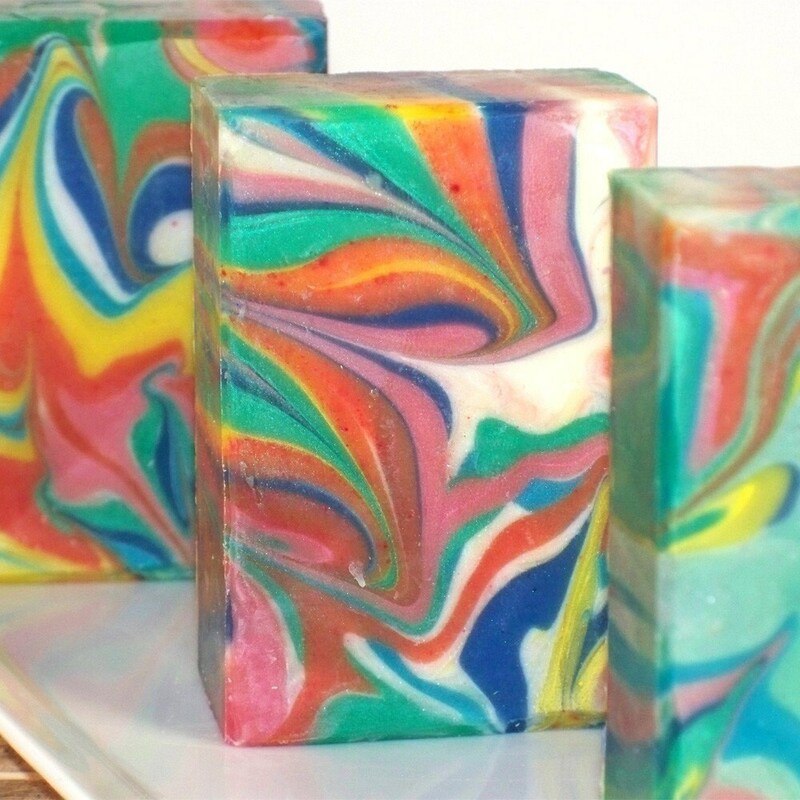 Wow, if your tips can make my soaps look like that, I’m all for it! Can’t wait! Sweet! Looking forward to all of it!